In this Pre-Written Prebiotic Content bundle –articles, a report compiled of the articles, keywords, and royalty free images, you’ll be able to teach your audience on a variety of different topics about their gut health and why it’s important to integrate probiotics into their diet. Gut health is really important to a person’s overall health and providing probiotics to your body is really important to keep the right type of bacteria in your body. Most people don’t realize that this helps regulate all of the food that goes through your stomach. Help educate your audience about how important probiotics are to their health. With the right amount, it makes it harder for harmful bacteria to stay in their system and make them sick. When you’ve got a busy life – this is very important. 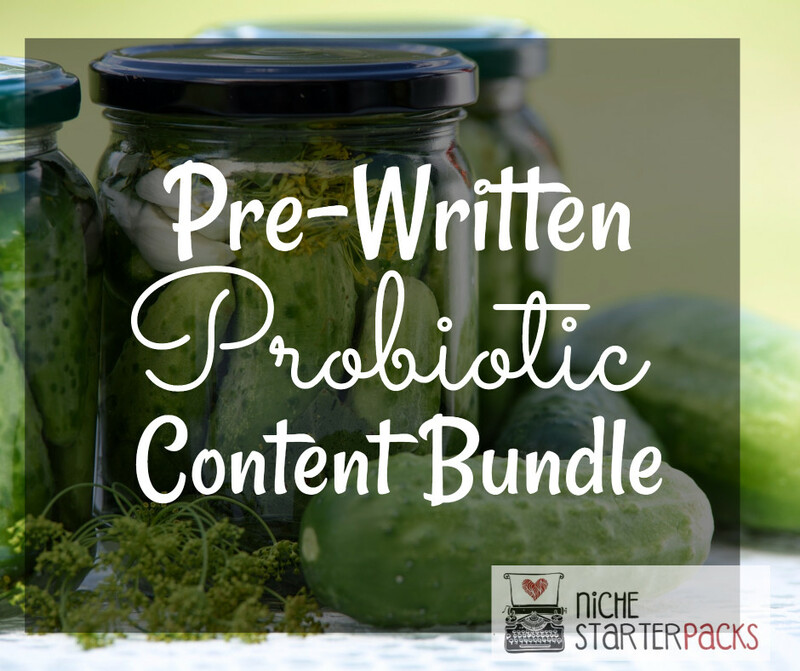 The Pre-Written Prebiotic Content bundle will help you bring in a traffic and readers to your blog because you’ll be talking about topics that people are searching for – like what probiotics are, why they are important, different types of bacteria and how to start incorporating it into their lives with the food they eat. People who want to learn about their gut health and probiotics are all in different stages of their journey and they are researching different ways they can incorporate it into their life. 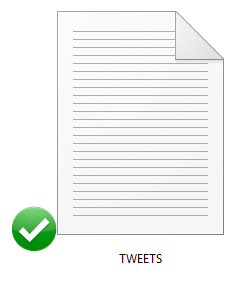 This is where you’ll come in with the topics that will answer the questions that they have. They need a site that will talk about a variety of topics – so that they can figure out what is best for them and how to. The Pre-Written Prebiotic Content Bundle will help you teach your audience about important topics that they desperately need because of the wide range of topics in this bundle. Pre-Written Prebiotic Content Bundle (Articles, Report, Royalty Free Images, Keywords) – Get It All For $27! 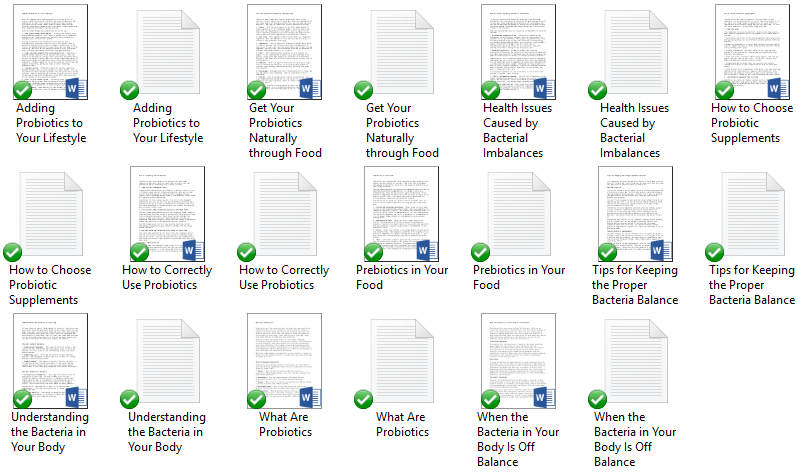 You’ll get a 21-Page report all about probiotics and your gut health. This is a great opt-in because it talks about what it is, why bacteria can cause their body to be off balance and natural ways to get the probiotics they need through the food they eat. This report is going to help you grow your subscriber list. Engagement with your audience is important and that is why we’ve included 10 social media Tweets for you to use. You can use them to promote the report and get more subscribers or send people back to the blog posts. 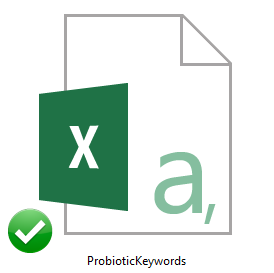 I’ve come up with 200 long tail keywords all related to probiotics. You’ll find some of these are what people like to call low-hanging fruit keywords while others have more searches.